Wolf Hall, which stood near Burbage in Wiltshire, vanished centuries ago after becoming derelict as early as 1571, only 40 years after it was built, undoubtedly due to the decline in the family fortunes, which included several beheadings… The church in Great Bedwyn still retains some original glass saved from the hall; it also boasts the stunning tomb of Jane’s father and some other highly interesting memorials of the period. After the remains of the ruined hall were completely demolished in the 1700’s, another house was built near the place where the great manor house once stood. Nothing remained above ground. But this year there has been an excavation of the site, and Wolf Hall has, after all these centuries, been found–the archaeologists have now revealed the plan of two hexagonal towers and an amazingly complete brick sewers, along with a collection of painted tiles. A welcome return for author’s medieval investigator Foxley…. The fifth book in Toni Mount’s Foxley series about medieval murders. Can only be good news from a staunch Ricardian author! This fascinating book follows the life and career of the medieval King Edward IV’s personal doctor, brings to life so much of the era and in particular explains the medical knowledge, practices and advances of the times. Many commonly believed myths and mistakes regarding historical events and characters are covered and smoothed over with clarity and expertise.. 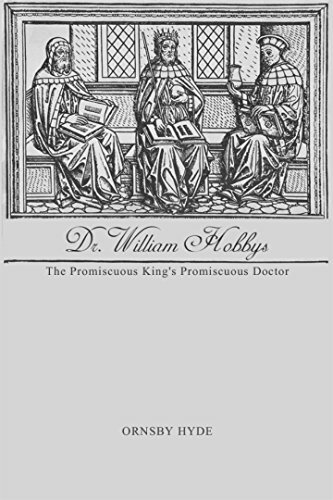 There are also now many confusions regarding the medical understanding during this period, and certainly some ludicrous and strange habits did exist back then- but here we have an author with his own expertise who can shine an insightful light on the developing situation and the knowledge of the more advanced doctors and surgeons of the late medieval.. Extremely well written, we are taken into the minds of many of the prominent figures of history, and both Hobbys and King Edward IV really spring to life. Richard of Gloucester/ Richard III is beautifully portrayed. Immensely believable on all levels, this is a delightful read, thoroughly enjoyable and thoroughly original in its outlook. Humorous, and clever I believe it is a book which deserves to receive more notice than it has yet gained, and I strongly recommend it to others who are interested in the late medieval period in England. Q: You’ve recently published your first novel about King Richard III for children, The Order of the White Boar. What made you write about King Richard? Alex: I first became interested in King Richard in my teens when my eye was caught by an intriguing title among the books in the school library: ‘The Daughter of Time’ by Josephine Tey. By the time I finished reading the book I was a confirmed Ricardian (even if I didn’t know the term then). I think what piqued my interest was a sense of the enormous injustice this man had suffered after his death – along with the tragedy of that death and of the preceding two or three years of his life. 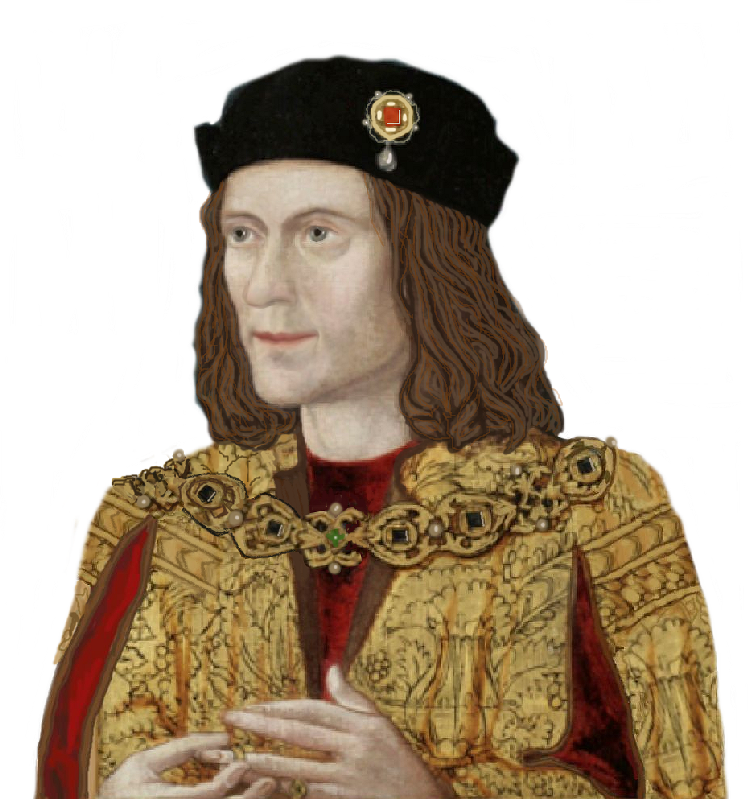 I joined the Richard III Society (I think as one of its youngest members), read as much as I could about the man and visited major sites associated with his life – and death. I’d always been interested in history and always written stories, including attempts at book-length works throughout my teens. But then life got in the way as it often does – university, career, marriage, kids, house renovation – and it was only a few years ago I returned to writing. And soon after that came the announcement of the dig to find his grave in Leicester, then the momentous press conference that revealed that King Richard had, ‘beyond reasonable doubt’, been found. Q: It was quite a day, wasn’t it? What was your reaction to the announcement? A: My first thought – after surprise and delight – was ‘This is a unique opportunity to restore Richard’s reputation. What can I do to help?’ I knew I wasn’t a campaigner – the sort of person who writes letters to important people or stands up to speak in support of a cause. But perhaps I could write a children’s book that could communicate Richard’s story to a new generation. At that point I was editing my previous book, ‘Time out of Time’, in hopes of publication and was also partway through a second book for children, so I was uncertain whether I should move on to something completely new. But when a little research showed that there really weren’t any books aimed at my target age group (10–13) showing Richard in a positive light, I realized this was a gap in the market that needed to be filled. Q: Were you surprised about that? A: To be honest, yes. I found that there were several such books for adults (a number that has increased over the past five years), but even an approach to the Richard III Society librarian only turned up a couple for children – neither of which was a straightforward story of his life. One was a timeslip book, ‘A Knight on Horseback’ by American author Ann Rabinowitz, which follows the adventures of a twentieth-century boy who gradually learns the true story of Richard III after his initial exposure to the Tudor myths and Shakespeare’s version. The other, ‘A Sprig of Broom’ by Barbara Willard, is a beautifully written evocation of early Tudor England – but Richard appears only in the prologue, which takes place on the eve of Bosworth. The rest tells the story of Richard of Eastwell – at least the interpretation that has him as Richard’s illegitimate son. And by the end, the main character decides he doesn’t want to be known to be related to King Richard…. With the nationwide excitement at the finding of Richard’s grave, I thought there were bound to be other books for children on the way – as has proved to be the case – but by that time my lead character Matthew was hammering on my door, demanding that I write his story, and it was very hard to say no. So I put my half-finished Scottish book on the back burner for the time being, and set to work researching Richard and his times while I finished editing ‘Time out of Time’. Q: You say none of the previous books for children was a straightforward telling of Richard’s life. In ‘The Order of the White Boar’, you didn’t choose to take that course either, preferring to concentrate on his final years and viewing them through the eyes of a fictitious character. Why was that? A: I suppose partly because Richard’s life has been brilliantly told already through adult fiction, in books that have been very influential in terms of changing people’s minds about him: Penman’s ‘Sunne in Splendour’ and Hawley Jarman’s ‘We Speak no Treason’ for example are often mentioned as having shown people the way beyond Shakespeare’s monstrous depiction towards the real history of the man. And maybe because I thought those books that were likely to be in the publishing pipeline after the rediscovery of his grave would offer the straightforward story – as has been the case with a couple that have appeared. Perhaps most importantly, I felt that a young narrator who was an outsider – as Matthew is, being just a merchant’s son, rather than a noble – would be able to offer a different perspective – a view of Richard that hasn’t been seen before. Q: In one of the early reviews of the book, the writer says that, rather than portraying Richard as a warrior or romantic hero, as in most adult novels, ‘The Order’ shows him ‘as a master, as a father, as a family man and as a decent, kind-hearted adult . . . He feels much more human than he usually does in historical fiction.’ Is that what you were aiming for? A: Very much so – and I’m delighted if readers think I have managed it! My intention was always to show ‘the real Richard’ – the man who served his brother in administering the north of England, did the job well, treated the people fairly, was a cultured family man as well as a soldier. And who, in the spring of 1483, when faced with the tragedy of his brother’s early death, had to deal with a difficult and dangerous situation. My aim was to use the contemporary sources as much as possible to lay the foundations for exploring his motivations and reactions when navigating the potentially explosive events of that time. The traditional histories seem to me to struggle with explaining how this loyal, steadfast brother changed into the murdering, usurping tyrant so beloved of the Tudor-created legend. I hope that seeing Richard’s character and behaviour through a child’s eyes in both domestic and more public situations allows the reader to work out for themselves who he was and what his actions mean. Q: You mention the death of King Edward IV in the spring of 1483. While hoping not to give too much away about ‘The Order of the White Boar’, it does in fact end at that time. Do you think readers will be disappointed at that? A: I hope not, although I can understand it if they are. But I hope they’ll take on board the note at the end, saying that a second book of Matthew and his friends’ adventures is coming soon. ‘The Order’ doesn’t end on a cliffhanger as such, rather at the start of a journey – one which represents the closing of one chapter in Matthew’s life and the opening of another. And the same can also be said for Richard – in some ways, the death of his brother was the start of a very different part of his life. The next book, ‘The King’s Man’, tells the story of the next two years or so – from a few days after the end of ‘The Order’ through to the fateful days of August 1485. A: You say the second book is ‘coming soon’. How soon, and how does it build on the foundations laid in ‘The Order’? Q: If all goes to plan, ‘The King’s Man’ will be published in spring 2018 – so not too long to wait (although it may well seem ages to my younger readers!) It’s finished, but needs some final editing before production starts. As I say, it takes up the story again as Richard and Matthew travel south to meet with the new boy king, Edward V, and catapults them into the political intrigues and manoeuvrings on the road, in court and in the cities of London and Westminster. We meet again some of the characters (historical and fictional) encountered perhaps only briefly in the first book and see the effects and influences they have on the lives of both Richard and Matthew. Of course readers, both adults and children, who have a knowledge of the history of the time will know where the story ultimately leads, and the challenges and heartbreaks along the way. ‘The King’s Man’ is overall a much darker book than ‘The Order’. But I hope it offers not only a flavour of the times, but also a worthwhile exploration of how and why events played out as they did. Q: Where will you go next? Back to your half-finished Scottish book? Or, as many of us who write about him find, will you be drawn back to Richard? A: I’m not sure Drew – the main character of the other book – will be pleased to hear this, but no, I’m not finished with Richard yet! (Poor Drew – I’d already abandoned him once before, to write ‘Time out of Time’…) I’ve already started preparing a third book in the ‘White Boar’ sequence that takes the characters (at least those who remain) beyond the events of August 1485. There are events that stretch years beyond that date which, to me, are still part of Richard’s story. In some ways, of course, that story continues to today – to the many people around the world who are still fighting for a reassessment of his life and reputation in light of what we now know about him and the lies that were told in the decades and centuries after his death. But the story I’ll tell will be that of people who knew him personally and sought to defend him in living memory. Q: It sounds like we’ll have to wait a little more than six months for the third book in the series. A: I’m afraid so. My track record isn’t great on finishing books quickly! My first took three and a half years, my second two and a half – although I suppose you could say it was just over a year as I wrote both ‘White Boar’ books one after the other in that time, treating them as a single story at first. But I plan to self-publish ‘Time out of Time’ while working on the third ‘White Boar’ book. I hope that readers who enjoy ‘The Order of the White Boar’ will similarly enjoy it, although it’s rather a different beast. It’s a mixture of timeslip and ghost story, drawing on my former career as an archaeologist. The Scottish book is also a sort of ghost story based around an archaeological dig – that was one of the main reasons I decided to write straightforward historical fiction when it came to Richard’s story. Although at first I was worried that I wouldn’t be able to immerse myself properly in the fifteenth century in order to write from the point of view of a fifteenth-century boy! Q: But you did manage it? A: Perhaps too well. For months after I finished the book I missed my characters enormously, they’d accompanied me for so long on my dog walks over the local moors! I’m looking forward to reacquainting myself with them – well, some of them anyway – over the next few months as I make a start on the new project. Q: I very much look forward to reading it when it’s finished – and of course ‘The King’s Man’ in the new year. Thank you, Alex, for speaking to us today. I was privileged to be able to help proof-read a copy of Alex Marchant’s new children’s novel about a twelve-year-old boy in the service of Richard, Duke of Gloucester and I was delighted to find that it was well-written, engaging and – wait for it! – pro-Richard! At last we have a novel for children from aged ten and up (and that includes children up to 100!) which depicts Richard as we see him: the just, fair, merciful and intelligent man as opposed to the traditional Tudor/Shakespearean monster and tyrant. The Order of the White Boar tells the story of Matthew, a talented singer who is sent to Middleham and taken into the household of Richard and Anne. He makes friends while there, including Richard and Anne’s young son, Edward. This is a refreshing change as Edward is shown as a more major character than in most Ricardian novels. Because of the main protagonist’s age (twelve), it will certainly appeal to children, both boys and girls, of a similar age but don’t let that concern you – it is not an oversimplified story and the plot is just as enthralling for adults. There is a suitable villain and tests of loyalty, chivalry and courage – everything that a child would love. The historical detail is accurate and well-researched and Richard’s character is shown in a sympathetic and positive light. The Order of the White Boar is the first part of Matthew’s story and the next part promises to be just as exciting and appealing. I can honestly see this becoming a classic for Ricardians and it should definitely be promoted for schoolchildren learning about Richard III, either through history lessons or as a counterpoint to Shakespeare. Eleanor of Aquitaine was the daughter of a provincial Duke in France. Twice she married Kings and had many children, although she outlived most of them and several grandchildren, living into her ninth decade, suffering annulment and internal exile. Two of her sons became King of England and, through John “Sansterre”, she is the ancestress of every subsequent monarch. In this book, Robert Fripp does for Eleanor what Graves did for Claudius, as she dictates her “memoirs” to a younger secretary. Most of us know much less about Eleanor than we would like and this is our opportunity to make amends. For those of you who enjoy reading Ricardian fiction, there is a new Ricardian author to savour. N.S. Rose (Natalie) has based her first novel, ‘Bearnshaw – Legend of the Whyte Doe’ on a Lancashire folk tale: Legend of Bearnshaw Tower/The Milk White Doe’. Born in the Peak District and raised in the Pennines, Natalie now farms beef and sheep in Yorkshire with her husband and brother-in-law. The countryside of her upbringing and subsequent move near to the unique and beautiful city of York inspired the ‘Bearnshaw’ fictional series. Ms Rose weaves fact and fiction skilfully as she takes the reader on an exploration of the Bearnshaw family and their fortunes during the turbulent period of history now known as the Wars of the Roses and it is certainly a charming and original take on those times. I won’t spoil the story by revealing any more, but I found it a great story and very moving. Richard is not involved in the story but he plays a greater role in the second part (see below). To buy a Kindle download or a print copy, click on the picture below. Natalie’s follow-up novel, ‘Bearnshaw II: The Triumph of the Red Dragon’ begins several years later, when Sibyl’s son, Edmund, aged nine, is rapidly growing into a man. He never knew his mother, Sibyl, but he knows his father, King Edward, who arranges for him to be accepted into the household of Richard, Duke of Gloucester, where he immediately makes an enemy. We follow his life and career as he becomes a man and his character matures and learns. He is a sympathetic and attractive protagonist (although, unlike his mother, Sibyl, he is not based on a real person). Richard himself is shown as a just and kindly Lord and, later, King. I will just warn you that the author’s portrayal of the Battle of Bosworth and its aftermath is one of the most poignant I have read, and I’ve read a few! Not Richard, but Robert will certainly do….! We all like a good TV series, especially if it has a mediaeval setting, but does anyone remember the French series from the early 70s, concerning Maurice Druon’s books, The Accursed Kings/Les Rois Maudits? The books deal with the French monarchy in the 14th century, and are (they say) another inspiration for Game of Thrones. When originally broadcast here in the UK there were sub-titles, but it didn’t detract at all. And when Robert of Artois was on screen, who cared what he was saying! The female population was too busy just looking. The series was made again in 2005, but they messed with the costumes and thus ruined the whole thing before a word was uttered. Anyway, I wholeheartedly recommend the books and the 1972 production.